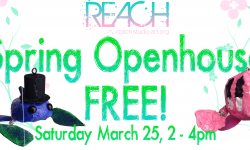 REACH’s 2017 Spring Open House is on March 25th! SAVE THE DATE! A Not So Silent Night is 12/10! 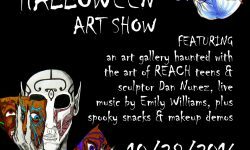 Join us for an evening filled with friends, food, art and entertainment! Click here to learn more about our annual benefit! November 12. 2016; 12PM-2PM Come out to REACH for some fun! Join us in celebrating America’s Recycle Day with Capital Area Recycling and Trash (CART). Activities including a take-home project, food, and prizes to be won! Make sure to come and see Stella as well!